According to Wikipedia, a light-emitting diode (LED) is a semiconductor light source that emits light when a current flows through it. Electroluminescence, the concept that makes LED technology possible, was discovered way back in 1907. Getting from then to now has been a long journey, and one that has been powered by great minds from various corners of the globe. While many of us are familiar with LED light and its usage in lamps, traffic lights, camera flashes and mind-blowing and commercially effective LED displays. The Father of Electroluminescence would be a great name for a spiritual healer, or perhaps an EDM DJ. However, it is a title bestowed upon Henry Joseph Round, a British experimenter. When electrons in a semiconductor recombine with electron holes they release a form of energy called photons. This is known to be true because Mr. Round (Or H.J., as his friends called him) discovered it in 1907, while working for Marconi Labs. Using a silicon carbide and a cat’s whisker detector, so called because it’s long and thin. The proverbial cat was out of the bag. Since HJ hadn’t developed any practical purpose for electroluminescence, the phenomenon didn’t immediately catch on. In the 1920s, a Russian inventor named Oleg Losev was studying light emitting diodes in radio sets. 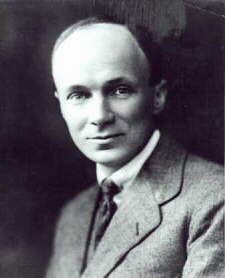 In 1927, Oleg published a paper entitled ‘Luminous Carborundum Detector and Detection Effect and Oscillations with Crystals.’ He was interested in the light emission potential of LED, and when his paper was published, people all over the world ignored it. Much like Journey’s 1981 song “Don’t Stop Believing’’, which enjoyed its greatest success after being included in the 2007 series finale of the Sopranos. Oleg’s findings wouldn’t really catch on until decades later, in the 1950s. In 1936, Georges Destriau, a French physicist who worked in the laboratories of Madame Marie Curie. Noticed that applying an alternating electrical field to zinc sulphide powder, while suspended in an insulator, would produce electroluminescence. In case that last sentence reads strangely, it was the zinc sulphide powder that was suspended in an insulator, and not Georges himself. Mr. Destriau called luminescence ‘Losev-Light’, in an apparent ode to Oleg, but that’s really a po-tay-to/po-ta-to situation. Back in the USA, it was James R. Biard and Gary Pittman, a couple of gents working for Texas Instruments, that took things a step further. The researchers discovered ‘near-infrared light emission from a tunnel diode’ and were able to demonstrate efficient light emission and signal coupling. In 1962 they received a patent for the ‘GaAs Infrared light-emitting diode’, beating to the punch such research heavyweights as RCA, IBM and the Lincoln Lab at MIT. Texas Instruments went straight to work, and shortly thereafter released the first commercial LED product, the SNX-110. The LED light was here, but further research was to be conducted before light of various color could be realized. Nick Holonyack Jr developed the red LED while working for General Electric in 1962. , M. George Craford, a former graduate student of Holonyack’s , improved the brightness of his teacher’s red and red-orange LED by a factor of 10 in 1972. This also led to the introduction of the first yellow LED. The student had become the teacher! We have Herbert Maruska and Jacques Pankove to thank for the violet LED (New Jersey, 1972), while Shuji Nakamura gave us the first bright blue LED (Japan, 1979). Today, LED technology allows for lighting in a wide range of colors. 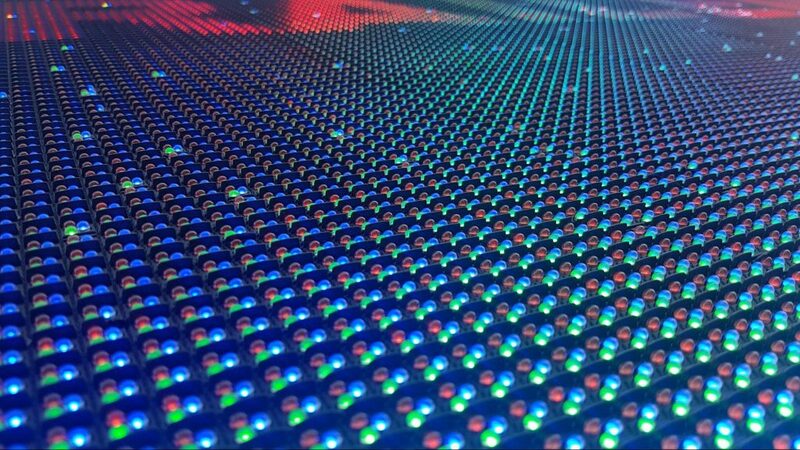 Today LED lighting is used in a wide array of technology, but none more stunning than LED displays. Especially those manufactured, and serviced, right here in Edmonton by LIGHTVU – North America’s most innovative LED display manufacturer. LIGHTVU’s indoor and outdoor displays can be custom for any size, and feature bright images, even in direct sunlight. They are warranty backed, and feature a 50,000 hour half-life. This means you’ll be enjoying your LED display for years to come. LED media walls are an excellent way to connect and communicate with customers, and potential customers, while increasing sales. 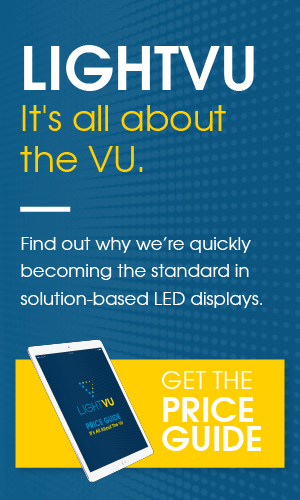 Visit lightvu.com today to learn more about our state of the art product and excellent service. 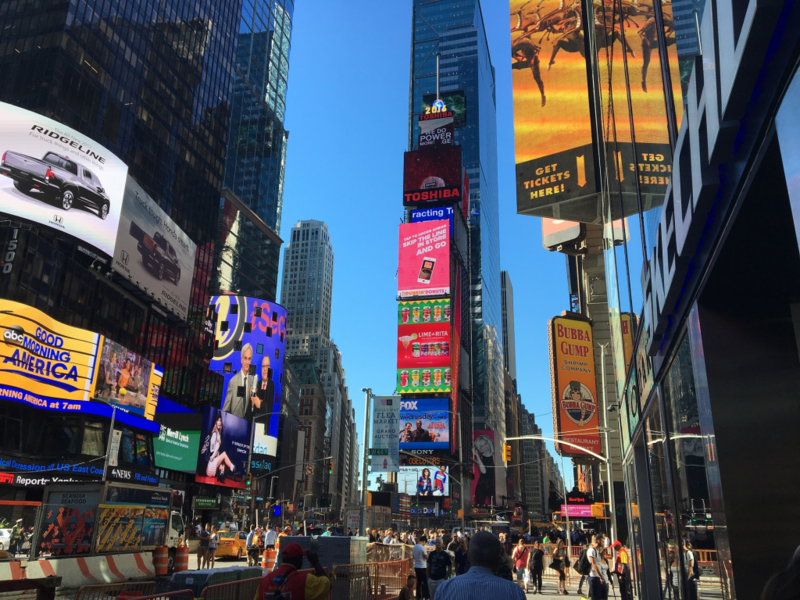 Let LIGHTVU bring a little bit of that Times Square magic to you with you using custom LED technology. Previous PostPrevious LED 101: How to choose the right LED display manufacturer?